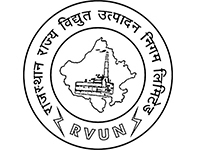 RVUNL Jobs Recruitment Notification 2018.Rajasthan Rajya Vidyut Utpadan Nigam Limited (RVUNL) inviting applications for the positions of Helper II Posts.Interested and Eligible Candidates can apply for the positions. Candidates those who have to complete their Secondary education form the RBSE or CBSE or its equivalent education. Candidates log on to http://energy.rajasthan.gov.in/rvunl.